This month, Facebook has finally incorporated hashtags into their social media experience. It started off as a slow introduction, but now all Facebook users have the ability to include hashtags into posts. Sprk’d is here to give you the 411 about anything and everything hashtags so you can utilize this new tool within Facebook! For those of you who don’t know what hashtags are: they are number signs (#) used before words or phrases. Using hashtags make the words or phrases linkable, and by clicking on the link it allows users to see what other people are saying about the same topic and trends. Why did Facebook get hashtags? Twitter was the innovator of the hashtag back when it was founded nearly 6 years ago. After that, many other social media sites such as Tumblr, Google+, and Instagram began incorporating hashtags as well. Facebook lagged for years to create a system where functional hashtags could organize and search content, but they have finally caught up with the competition. The fact of the matter is people were already using hashtags on Facebook, they might as well create a system that could utilize it. What does that hashtag mean for you? Those of us in marketing know that hashtags on any network are helpful because it makes it easier for us to research. Hashtags give us the ability to search a single word or phrase and analyze not only what people are saying, but who is saying it. It helps marketers to know who the audience is and to get a glimpse inside their brain. For business owners, hashtags can be a great way for you to find out what people are saying about your business and products. It is another way to see reviews, negative and positive. But the really great thing about hashtags on social media sites like Facebook is that you also have to ability to have speedy response and converse with customers about their experience with your business. For everyday Facebook users, it’s a great way to see what other friends are interested in. It isn’t as integrated of a searching platform like Twitter (yet), so for now it will be most beneficial for personal use. Pros and cons of hashtags? If a user has strict privacy settings and only allows friends to see their posts, then others who are not their friends won’t be able to see the hashtags they use. This is a pro for those who want to keep their thoughts and information private, but a con for marketers and businesses looking to see what ALL users are saying about certain topics and trends. As all Facebookers have come to realize, Facebook is pretty impressive and sneaky when it comes to advertising. They have the ability to analyze your “likes” and searches so that advertisements that they feel you’d be most interested in pop up in the Facebook banners. 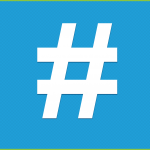 Hashtags are yet another way to analyze interests and create advertisements catered to those interests. This is a huge positive for advertisers and possibly a positive for users who utilize those advertisements to find companies. Only time will tell if Facebook hashtags will be anywhere as useful and resourceful as those on Twitter. I think it will take time for people to become accustomed to using hashtags in their everyday posts, because so far I haven't seen many people on my newsfeed utilizing them like they do on Twitter. However, I believe that Facebook was smart to finally integrate them into their social media experience because, well, everyone else was doing it. We at Sprk’d asked on our Facebook page how people they felt about hashtags. We received a majority of positive reviews! People told us that they were excited that they can now sync their Twitter and Facebook together and it’s great that the hashtags will work on both networks. Being able to sync posts with hashtags will make things faster and simpler, which at the end of day is a win-win for everyone! What are your thoughts about Facebook hashtags? Join the conversation and let us know!